Istanbul is at such high risk for a devastating earthquake that engineers at Purdue University and the Republic of Turkey have come up with a bold new proposal: build a second city. A second, satellite city would provide immediate refuge to inhabitants of the old city in the event of a catastrophic earthquake and soften such an event's effects on the nation's economy. Purdue researchers have created a 3-D fly-through animation showing what the proposed new city would look like. The five-minute animation was produced using new technology developed by the Office of Information Technology at Purdue. Mete Sozen, Purdue's Kettelhut Distinguished Professor of Civil Engineering, says building a satellite city from scratch has several advantages. "It is exciting to think about building a new city using completely new technologies," he says. It would use modern information technologies and be environmentally friendly. It would be safe, secure and modern. But more important is that this city would provide a refuge and emergency services in the event of an earthquake." With some cities around the world at risk from rising ocean waters caused by global climate change or from natural disasters, Sozen says building cities in new locations may become common in coming decades. 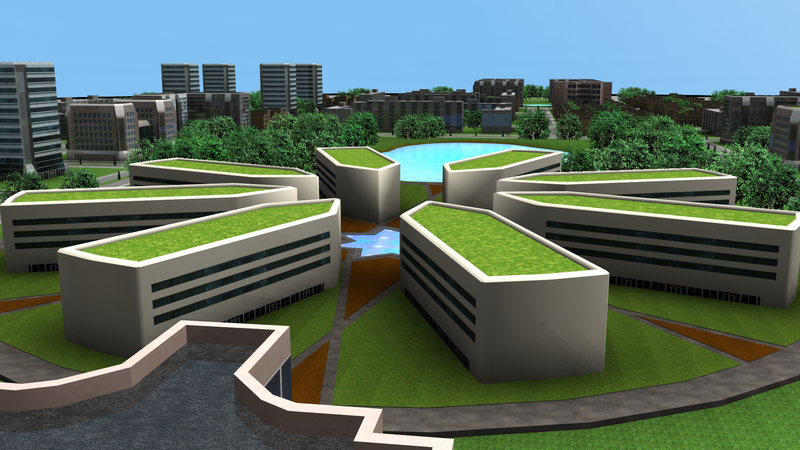 The animation of the future Turkish city was created in two months by using the TeraGrid, a National Science Foundation-funded research computing grid. Purdue is one of 11 research institutions that comprise TeraGrid, which is the world's largest open science computing grid. The animation was rendered using the TeraGrid Distributed Rendering Environment, or TeraDRE, developed by research scientists in Information Technology at Purdue. A video featuring the animation can be viewed at https://www.youtube.com/purdueuniversity. Istanbul, which lies just north of the North Anatolian fault, is at high risk for a major earthquake within the next 30 years. "All of the seismic and historical evidence says a major earthquake is overdue," says Sozen, who led an international effort in 2005 to evaluate the risk of such a catastrophe. That group concluded that it is likely an earthquake with a magnitude of 6.8 to 7.5 on the Richter scale would occur within the next three decades. Such an earthquake would be especially devastating to Istanbul. Many of the city's buildings were not constructed to withstand earthquakes and, in fact, Sozen says many buildings were constructed with little regard for modern building standards. The city itself is not well designed for earthquakes. Many streets are narrow and winding and would quickly fill with debris after an earthquake, preventing aid from reaching those who are trapped or injured. "We determined that to bring the city up to modern standards to reduce the effects of an earthquake would cost $50 billion," Sozen says. "At that point we began to think there might be another option. We could run away from the earthquake." Istanbul, a city of more than 12 million people on Turkey's northwest coast, is one of the world's ancient and historically important cities, having been the capital of the Byzantine and Ottoman empires. The city is Turkey's cultural and economic hub and is responsible for 80 percent of the nation's economy. "When New Orleans was destroyed by flooding, it had a noticeable but small effect on the economy of the United States," Sozen says. "But if Istanbul were to be destroyed, Turkey's economy would be devastated." The satellite city of Istanbul is designed to be an economic hub by clustering districts that serve specific purposes. There would a hotel district near the ocean, as well as business, residential and entertainment districts. If realized, the satellite city of Istanbul would be the first major city to be constructed since Brasilia, the capital of Brazil, was built from 1956-1960. No site for the proposed satellite city has been chosen. 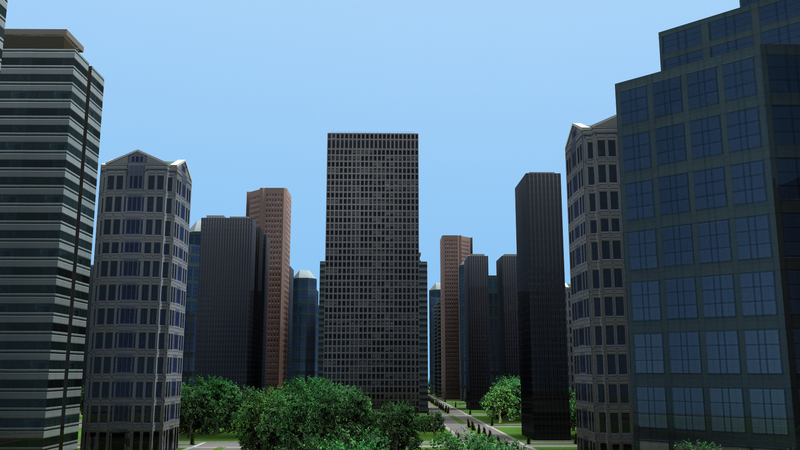 The new city would be earthquake resistant, with strong buildings and wide streets. The city would be designed to take advantage of building techniques used to minimize earthquake damage and incorporate modern technologies such as electronic locks and security, video communication and environmentally friendly technologies. "We were able to look at the best ideas in the world and incorporate these in our proposal," Sozen says. "For example, the storm sewers will recycle rainwater like the ones in Sweden." One of the most striking architectural features presented in the Purdue visualization is a cluster of earthquake-resistant buildings arranged in the shape of a star. "It is a Selcuk star, and this shows a star within a star," Sozen says. "It is a classical Turkish symbol." Nicoletta Adamo-Villani, assistant professor of computer graphics technology and a research scientist in Purdue's Envision Center for Data Perceptualization, led a team of graduate and undergraduate animators who created the city based on engineering specifications provided by Sozen. "This was something of a challenge because of the size of the city being visualized and the lighting effects needed," Adamo-Villani says. Adamo-Villani used nine virtual cameras to give a variety of perspectives for the fly-through animation. "It was very challenging for the students; a very intensive project," she says. "But it was really a good learning experience for them. We could have not done this without the TeraDRE. The animation is made up of 9,000 images, each of which takes about 30 minutes to render out normally. This would have taken several weeks to complete. Using the TeraDRE, we were able to render the five-minute visualization in just hours." The TeraDRE makes use of a distributed computing system at Purdue known for the software it runs, Condor. This system allows jobs, such as an animation frame being rendered, to be sent to one of 6,000 computers on campus when it is not being used. Purdue's Condor pool is the largest distributed computing system at any university. Next the Purdue researchers will begin developing a scientifically accurate visualization of the effects of a major earthquake on the city of Istanbul.